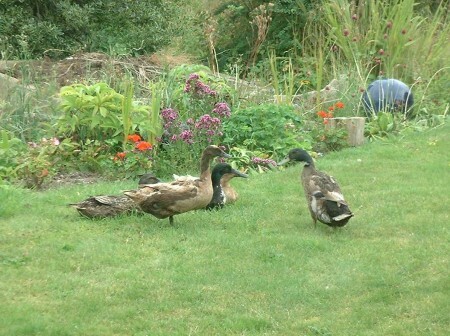 A couple of days ago I got up to find we had unexpected visitors in the garden, a group of 5 ducks. 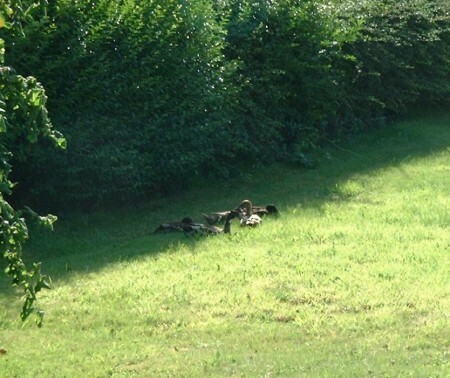 I’ve seen them wandering in the road on occasions, which always seems to me a rather risky business, so our garden made for a safer alternative. They spent a lot of time ‘grazing’ in the grass at the bottom of the garden, where, as you can see, the hedge as well as the grass needs cutting. before finally disappearing on to the road again. 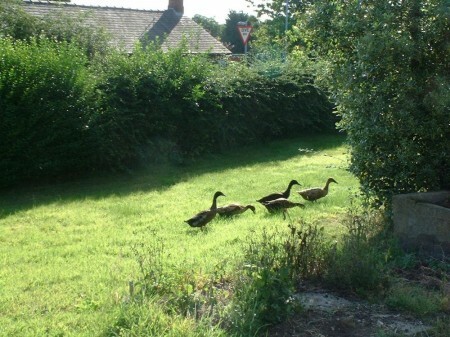 At teatime they returned, and this time came much nearer the house. 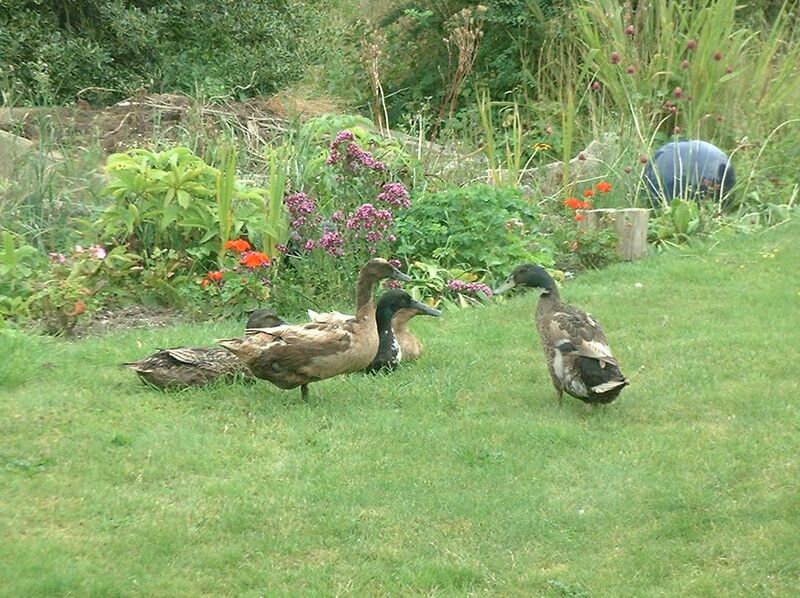 I don’t think they are mallards because of their upright stance when running, not that I’m a duck expert, but they did remind me of when I looked after my neighbours ducks and hens a few years ago. You can read about that here. 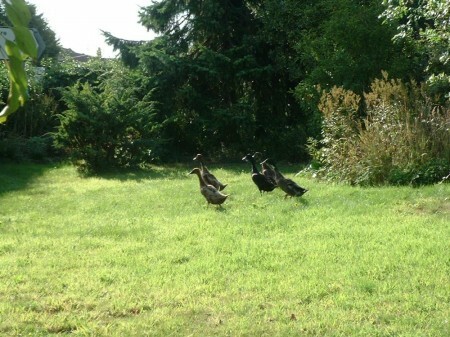 As I mentioned earlier the hedges need cutting. We’re trying to find someone to do the job for us. We cut the hedges ourselves at Ravendale House, it was a big job and here you can see our efforts in 2011, but we’re 2 years older than when we last did it in 2012, and battle weary from the renovations. Maybe next year!